The coarsest scale we examine vector ecology is at the level of landscapes. 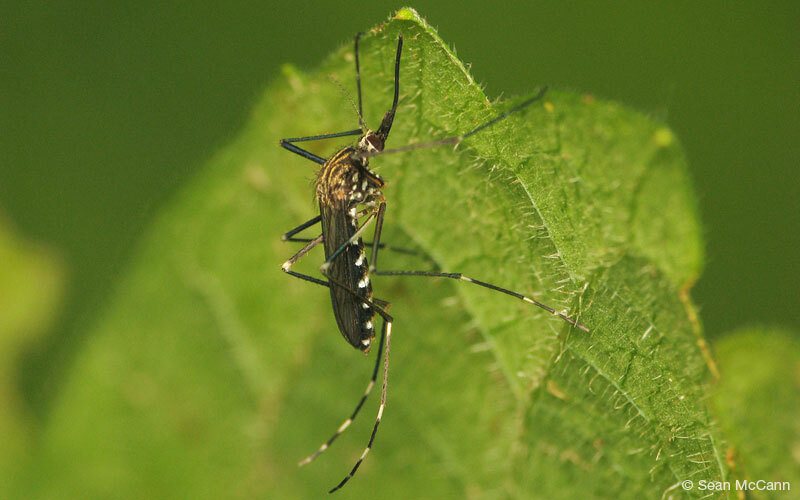 We consider the influences of abiotic and biotic conditions in determining the distribution of mosquito species and assemblages on the landscape. We document patterns at the landscape level using geographic information systems, spatial statistics, and muddy boots field work. The patterns observed in the landscape are generated by ecological and evolutionary processes, which we endeavor to untangle. Paras, K. L., O’Brien, V. A. and Reiskind, M. H. 2014. Comparison of the vector potential of different mosquito species for the transmission of heartworm, Dirofilaria immitis, in rural and urban areas in and surrounding Stillwater, Oklahoma, U.S.A. Medical and Veterinary Entomology, 28: 60–67. doi: 10.1111/mve.12069.